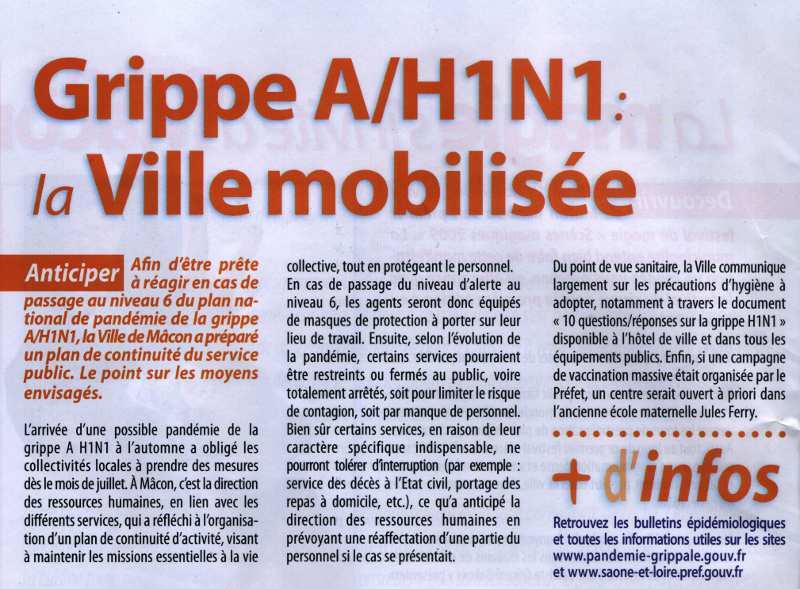 There has been little in the local Bischofsheim paper about swine flu except for the precautionary curtailment of a school's birthday celebrations but Mâcon obviously feared the worst and put out a plan of action in the November issue of the town newsletter. It's worth taking the time to read the details as the town goes onto emergency footing when the alert level reaches 6. Many services are envisaged to close or be severely restricted and staff will wear protective masks as they carry out their duties. The threat is clearly taken very seriously. As we understand it things have not yet got as bad as feared and stocks of vaccine are being sold off.